Factories are essential to our daily life as they are where manufacturing processes take place. Every factory needs to run efficiently, and for this to happen the structure that it exists needs to have all its components in the best condition. Lighting in a factory is important so that not only can all processes be monitored, but also if any problems should arise, they can be spotted early and prevented from developing into something more serious. Lighting a large space like the interior of a factory can be a logistical nightmare. You cannot compromise on the quality of lighting, but you still have to worry about mounting costs from energy bills. Keeping your bottom line in mind, you need cost-effective factory lighting that provides your space with the right amount of light. When lighting a factory, a few things need to be considered which include the size of the space, the brightness required, energy consumption and good quality lighting that doesn’t fail. It can be a challenge to find a factory lighting solution that meets all the criteria and is cost-effective. That’s where the lighting and energy efficiency experts at Conservergy come in. 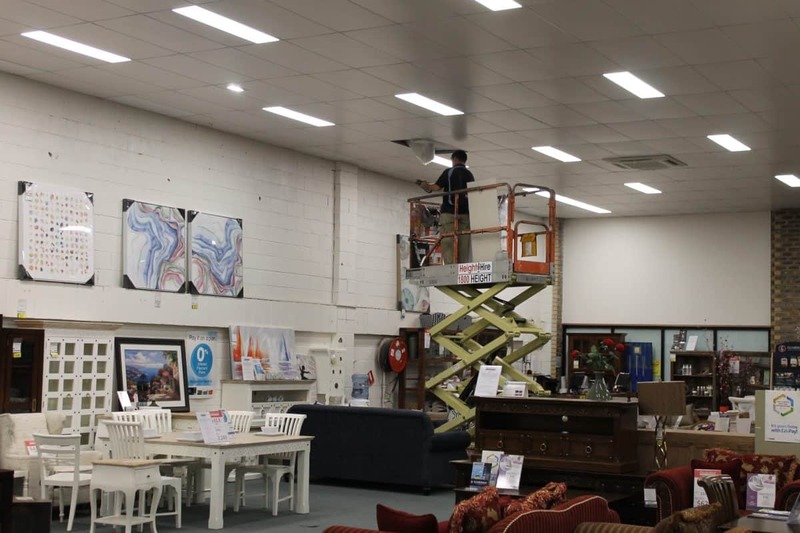 We provide factory LED lighting systems that brighten your space while lowering the cost of your energy bill. This is our guarantee. 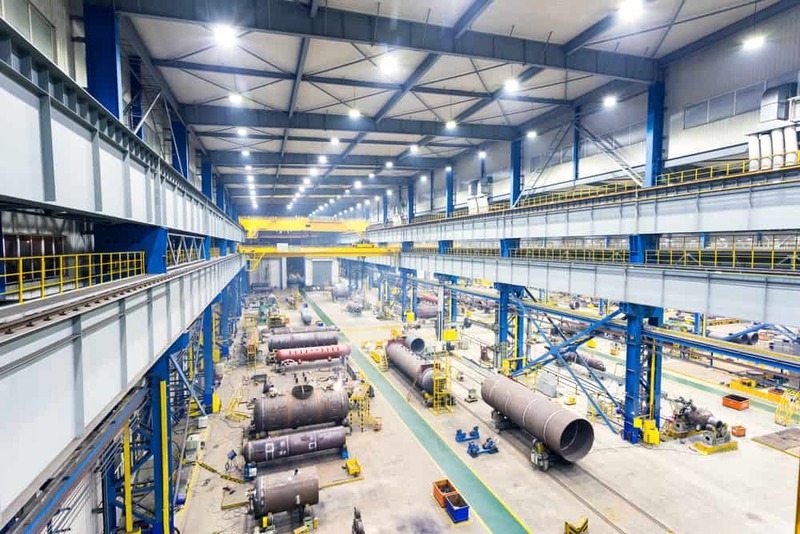 Lighting in a factory is not only important for the employers to clearly see what they are doing, but good lighting is also important for safety and security. Well-lit factories also improve the work atmosphere as compared to a badly lit space. However, lighting a large space like a factory can be very expensive. Having to change and service light bulbs too often can also disrupt efficiency and affect productivity. When planning the lighting for the factory, you need to consider partnering with a lighting company that can give you a combined solution to all your requirements. LEDs have seen a lot of advancements in recent times, and the LEDs from Conservergy could be the answer to your factory lighting standards. Complying with the highest standard and using the most up-to-date technology, our LEDs are top of the line. The LEDs use much less energy than traditional lighting like HID and MHL-style lamps. The LED lights also have a longer lifespan with an average of 50,000 hours. The longer lifespan means fewer changes over longer periods of time. Once you fit the lights, you don’t have to worry about them for a long time to come. 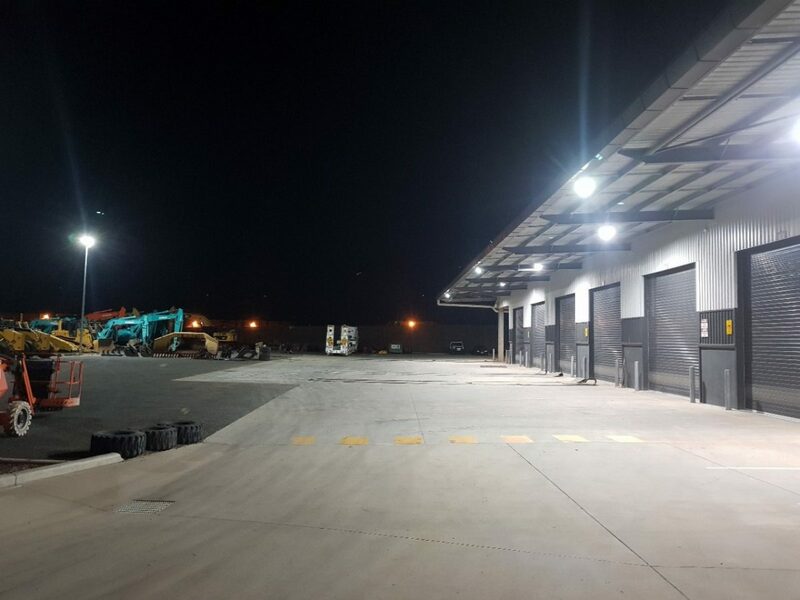 The light provided by LEDs is more evenly distributed over the large factory space, and while it is bright, it does not produce a glare that could be uncomfortable for the workers. With LED factory lights, you can enjoy optimised lighting and save on costs. We have already served several customers and provided them with the factory lighting definition that meets all required standards. Decreasing your energy consumption by 60% while increasing output by 150% is possible with the right LED factory lighting. With decreased energy consumption, we also help your factory be more eco-friendly by reducing your carbon footprint. For a bright and efficient factory space, let our factory LED lights help make the difference. How bright should my factory lighting be? You want your factory bright enough for operations to run smoothly; at the same time, not so bright that your workers get a headache. Before we set up any lights in a factory, we take into consideration factors like the size of the space, height of the ceiling and so on. 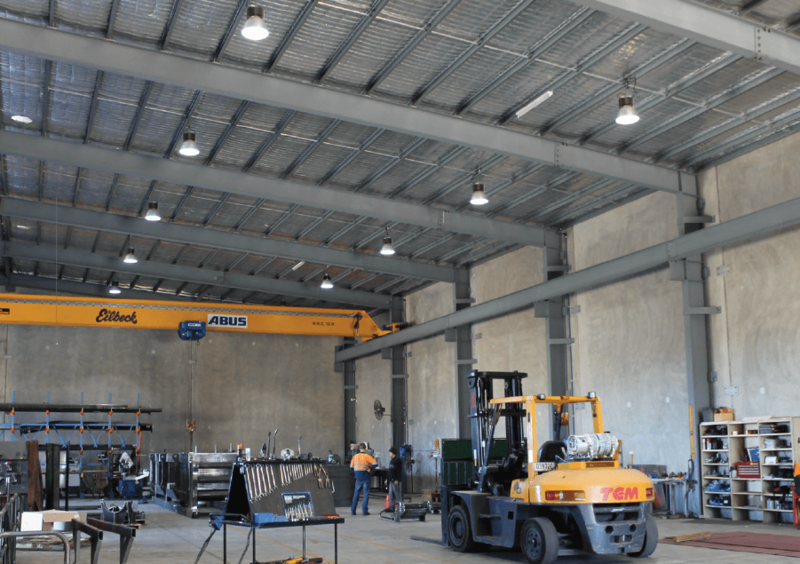 According to Australian standards, illumination of 160 to 1600 lux is required in a factory depending on the type of work that is being carried out there. We also look at the colour of the interiors and depending on whether they are light or dark, we decide on how much lighting you will require. If there is also natural light coming into the factory, we help you to use it to your maximum benefit while also considering your options on cloudy and rainy days. If you would like a better idea about how much lighting your factory requires, call us to get started on designing a lighting plan. We offer two types of lighting patterns based on the type of factory space that you have. The I type pattern consists of long narrow rows of lighting. Factories that have long machine units that are equally spaced will find the I pattern lighting ideal for their space. The top-down lighting provided by this pattern focuses the light exactly on the machinery where it is needed. The second type of pattern is the V pattern. V pattern lighting works well for factories with open floor plans that need widespread lighting. This type of pattern uses square or round fixtures that distribute the light in an array. 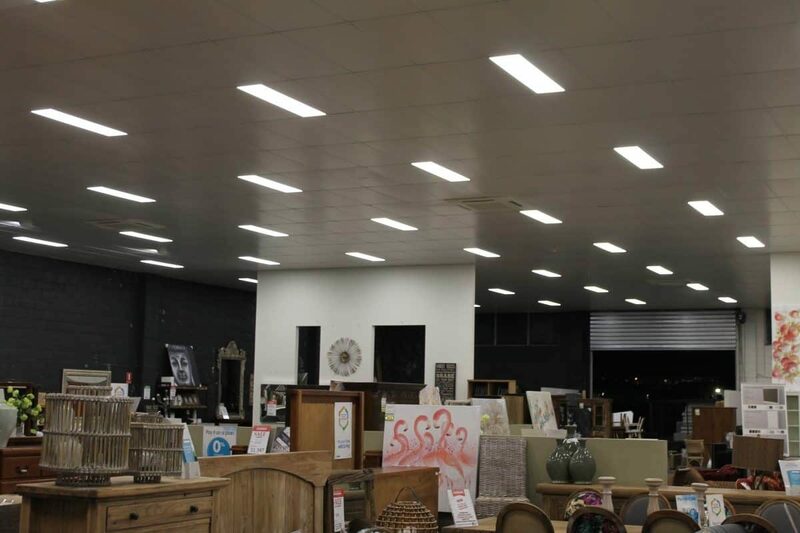 Once we have had a look at your space, we will be able to better guide you on the type of lighting pattern that will work best for your factory. We position our light fixtures in a way that gives you the maximum benefit for both lighting and cost efficiency. We use only as many lights as required to provide adequate and uniform lighting for your entire factory. At Conservergy, we make sure not to space our bulbs too close together which results in us using more bulbs and having overly bright patches where there is an overlap of light. We also ensure not to use too few bulbs that result in shadowy areas over the factory floor. Having shadows and dark spaces in a factory can be a safety hazard and need to be avoided no matter what. For the most efficient working of a factory, all areas need to be sufficiently lit. Factories can run up pretty high energy bills and 20% to 40% of that bill could just be for lighting. Imagine how much you could save on energy costs if you were able to reduce the energy consumption from lighting. Using LED lighting in your factory can help to do that. LEDs produce a lot less heat than other traditional lighting methods; this means that for the same amount of electricity, they produce more light, making them a more efficient lighting source. LEDs can also help you save on long-term costs by utilising a fewer number of bulbs, having a longer lifetime, and reducing downtime by needing less maintenance. Since you spend less time worrying about your lighting, you can spend that time in more productive ways. LEDs are also ideal for factories because they have a higher resistance to impact and vibrations which are common factors where industrial production takes place. LEDs are more stable in environments where temperatures can rise higher than normal, making them ideal for factories. Because LEDs don’t contain halides or mercury, they are easier to dispose of and are less hazardous to the environment. Working well with automation such as sensors, timers and technology, LEDs incur a lot less wear and tear than traditional lighting. The durability of LEDs makes them a lot more cost-efficient while providing better lighting for large interior spaces like factories. With so many benefits to be enjoyed, there is no question why you should make the switch to LED lighting at the earliest. 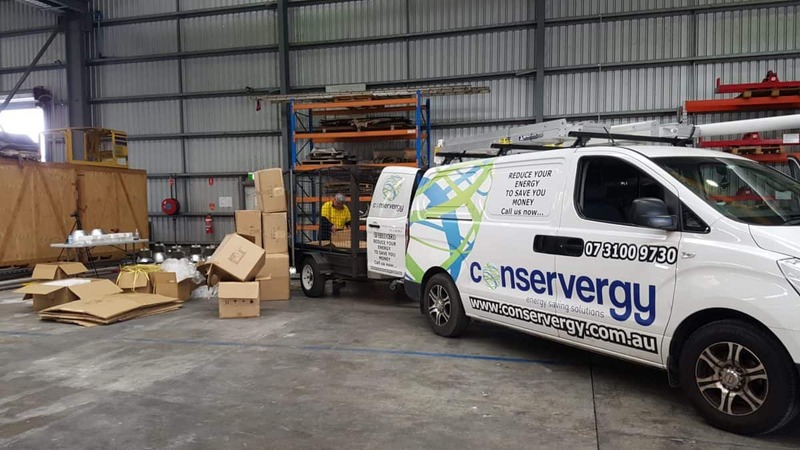 At Conservergy, we have a team of experts that are fully trained in the way factory lighting works. With their knowledge and experience, they are able to make a full assessment of your needs and then design a plan for your maximum benefit. We use state of the art LED factory lighting systems which when installed in your factory, will transform your space completely. When you first contact us, we conduct a full energy audit of your factory. After getting a clear idea of your space, your requirements, the existing lighting fixtures, and other factors, we start to design a plan. Keeping you in the loop at all times, we will clearly explain to you what needs to be done and why so that you can make an informed decision. We also guarantee that there will be no surprises midway through or at the completion of our work. We understand the importance of your business and what it means to you which is why we treat each project like our own. Every customer has different requirements, which is why we customise our services to fit perfectly with what you need and what works best for you. If you’re ready to optimise your lighting and reduce your energy bills, get in touch with us today. We offer a no-pressure service and are here to help you implement the lighting you need to make your factory more efficient and cost-effective. Call us today at 07 3100 9730 and let one of our factory lighting experts help get your project started.